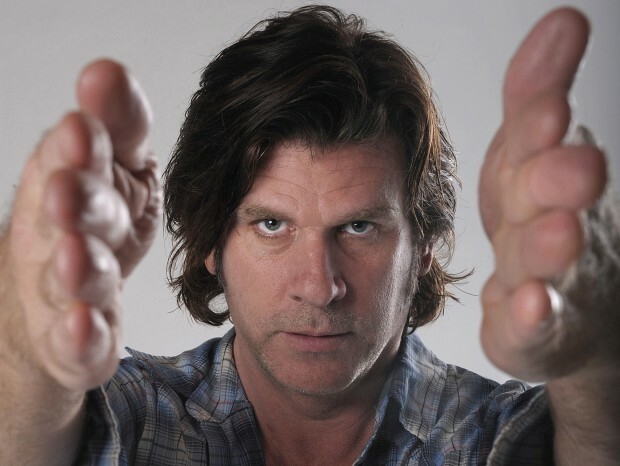 Tex Perkins & Charlie Owen hit WA this week, kicking off on Thursday, September 26, at the Newport Hotel; Friday, September 27, at the Freemason’s Hotel (Geraldton); Saturday, September 28, at the Charles Hotel and Sunday, September 29, at the Ravenswood Hotel. BOB GORDON catches up for a chat. Tex Perkins was a bit worried that he’d isolated himself from all the AFL Grand Final action having booked himself a run of shows in WA this weekend. Perkins returns to WA this weekend with old pal, Charlie Owen. The pair were last seen in April at the ARTBAR, where a 50-something lady yelled at him, ‘take off your pants!’” His response? Of late Perkins has strapped on a rare electric guitar (‘I’m not a guitar player. I’m just a dancer, really’) for the self-titled album from his new outfit, The Ape. Guitarist Raul Sanchez (Magic Dirt) on guitar, drummer Gus Agars (The Dark Horses) and bassist Pat Bourke came together on some songs Perkins had lying around, combining riffy guitar with hip hop beats. As for the East Coast shows The Ape have been playing- they’re a different yet familiar pair of boots. Perkins reveals that he’s working on a film soundtrack at the moment but seems wary of the shifting sands of that industry. In the meantime, Grand Final weekend beckons on the West side. The possibilities are legless. Tex Perkins also appears with The Cruel Sea at A Day On The Green in Kings Park & Botanic Garden on Sunday, November 17, and at the Fremantle Arts Centre’s Sonic Sessions on Tuesday, November 19.